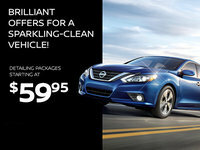 Your number-one Nissan tire centre in Montreal offers you an huge selection of tires at great prices! Come visit Spinelli Nissan and choose from among a massive inventory of tires from Michelin, Toyo, Nokian, GT Radial and more; we carry tires of all sizes for cars, SUVs and trucks, and our experienced personnel have the expertise to help you choose the right ones for your needs, driving habits and budget. 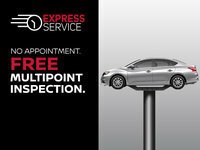 Get your service appointment in less than 48 hours*. Our prices are the most competitive you’ll find for Nissan tires in Montreal and on the South and North Shores, plus we offer advantageous AccorD financing from Desjardins on-site, road-hazard protection plans and services for Nissan tire storage in Montreal for as little as $39.95! Remember that we provide full installation, replacement and rotation services in our modern facility. This coming winter, Spinelli Nissan has you covered to tackle our extreme Canadian climate thanks to our wide selection of Nissan winter tires for sale in Montreal. Whatever the conditions, our tires will get you where you’re headed, safe and sound. We also have a large inventory of summer tires in stock from the finest brands; ask our experts to help you settle on the right ones for you! Visit our Spinelli tire centre today to enjoy a hassle-free buying experience; trust in the experts who can guide you right and save you more of your hard-earned money. Contact our service centre today at 1 844 361-8258 to get more information about our products and services. You can also schedule an appointment online for your next visit. At Spinelli, we always give you the best price on tires! Guaranteed! In fact, if, within thirty days before or after purchasing, you find the summer or all season tires you're looking for advertised at a lower price by another retailer, Spinelli will give them to you at the equivalent or a lower price and do the installation for free! At Spinelli Nissan, you can take advantage of our Spinelli Express Tires service and get your Book a date for your next service appointment today in less than 48 hours**. Our qualified technicians will do the work for you in less than an hour! * Avoid lineups. Contact us to book an appointment for a quick tire installation in Montréal on your vehicle.